Crash Team Racing's major overhaul was revealed last week, confirmed the long-standing rumor of a remake. It's obvious the game looks quite a bit improved over the original release, and over on the official Playstation blog, Beenox Creative Director Thomas Wilson went into detail on the project. 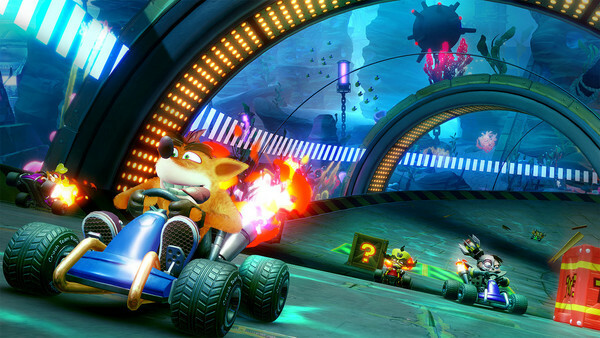 Our studio gets the proposition, ‘’How would you guys feel about remastering CTR?’’. I remember pausing for a second. And then I blurted out: ‘’You’re kidding, right?’’ I felt a sudden rush of adrenaline. That tingling feeling of joy and excitement spreading through your whole body. Throughout the discussions, I remember telling myself: ‘’Please, please, oh please, let this project become real.’’ And here we are! The game we were so eager to reveal to the world has been announced. No turning back now! We’re going full throttle towards June 21st and we’re so excited to show you what we have in store!